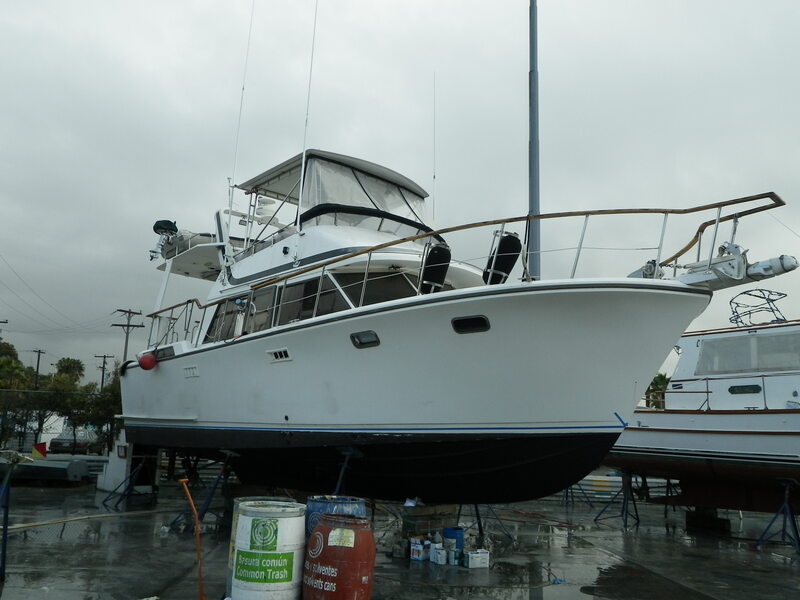 A Tale of Two Boats | Christian & Co.
On a recent rainy winter day I surveyed two boats. I had the pleasure to meet two nice, intelligent and experienced boat owners. At the end of the day, I decided to tell this story. Both vessels were fiberglass power vessels built in Taiwan. Both vessels were equipped with two diesel engines that were manufactured in America. Both of the clients were knowledgeable and active boaters. On this particular day a winter storm was just passing through. As I drove to the first boat, at a nice San Diego yacht club there were short sporadic rain showers. The client met me at the gate to the club, welcomed me aboard and turned on the electric heater, which was part of the climate control system aboard the vessel. The vessel was a relatively new, luxury motor vessel in excellent cosmetic condition. My client was the son of the original buyer who was reportedly advancing in age and using the vessel infrequently. The client who was my age (late forties) had grown up boating with an extensive sailing history. The survey went as anticipated until I entered the engine room. The starboard engine’s after cooler (a device that cools the combustion air between the turbocharger and the cylinders in the engine) exhibited moderate corrosion. It was mounted inboard, between the engines and was easy to see and access. A metal support for the starboard engine’s exhaust tube was disconnected. These findings, while significant, were not remarkable. As I worked my way about the engine room, in my normal, linear fashion, I came across a substantial deficiency. Outboard of the port engine, in a location that was difficult to access, I noted an accumulation of debris in the bilge. Looking up from the debris I saw a severely corroded after cooler. The condition had no doubt continued for an extended period of time and had advanced to a critical stage. While discussing the findings with the client, he asked if it was safe to drive the vessel to the boat yard. I responded that if the engine was starting and running normally, it was unlikely that a short trip to the boat yard would cause significantly more damage. He stated that the engine was not starting normally and had not been starting normally for some time. He said he had had a mechanic aboard, and the problem had been diagnosed as a malfunction of the pre-heating system of the engine. He subsequently explained that the mechanic was actually servicing another vessel on the dock and had only come aboard briefly as a favor. The client had obtained free advice and it had been worth every penny of it. At the end of the survey the sun had come out, the showers had stopped and we had begun to right the course on the maintenance of the engines on this nice boat. I got in the truck and headed south for the second job of the day. 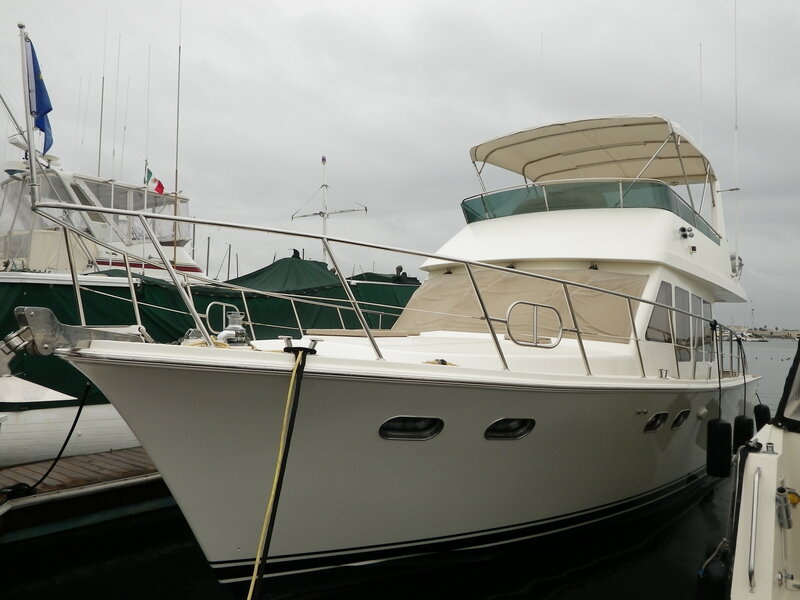 Upon arrival at a boat yard in Ensenada I found the vessel hauled and the owner aboard. His diesel heater was already on, providing comfort inside and a welcome reprieve from the cold drizzle which began shortly after my arrival. This vessel was significantly older than the first, not as pretty, modern or expensive. The owner was a live aboard and had worked most of his life in mechanical jobs, mostly for the railroad. He had many plans for the vessel and many projects which were already accomplished. Upon entering the engine room I noticed that the engines looked their age, with minor surface rust, and failing, dull paint. With the surveyor’s eye I noticed something different with the peripheral components. There were many new hoses and hose clamps. The end caps for the heat exchangers were clean, unpainted and free of any salt crystal accumulation about their apparently new gaskets. The water pumps were also clean and exhibited no stains, weeps or corrosion. The survey went as anticipated and had the usual number and type of findings. During the survey the sun caught up with me and we turned off the diesel heater. The lesson from this day and these two vessels is not new. It is that maintenance is important, can be done in many different manners, and requires periodic assessment. In the first case the client was intelligent and experienced, but was relatively new to power boats, large diesel engines and to this vessel in particular. The original owner of this relatively new vessel was no longer active in its maintenance and service regimen was inadequate. Routine maintenance of diesel engines includes replacement of sacrificial zinc anodes in many of the components. Heat exchangers, after coolers and oil coolers are often fitted with sacrificial anodes and anodes require periodic replacement. As a rule, any seawater component on an engine will require maintenance. Beginning at the through hull and its valve, the sea strainer, sea water pump, coolers and ultimately the exhaust mixing elbow and exhaust system components all need attention. Another lesson which the first vessel reinforced was to pay attention to changes in your vessel. In this case the port engine had become hard to start and a proper inspection and diagnoses had not been accomplished. Hopefully the damage was not extensive or expensive, but it is certain that the sooner the problem is addressed the greater the chance to reduce the repair expense and inconvenience. The lesson from the second vessel was that there are many ways to maintain a boat. A trained mechanic can be hired to perform inspections and service on routine intervals or owners can learn how and maintain the mechanical systems themselves. On the drive back home the rain was gone and a huge, full and vibrant rainbow came out. I felt that the surveys were successful and though we found no pot of gold, we did persevere through the storm to continue cruising in the sunshine.